The year is nearly over and, and 2018 certainly gave us copious reasons to stress out. Whether your reasons are personal, professional, political, or otherwise, a year like this can make it hard to get that warm holiday feeling. Luckily, nothing cheers us up like festooning the hearth with colorful tchotchkes and embarking upon a good old-fashioned Christmas TV binge. As such, we’ve collected our favorite easy-to-stream episodes and the best Christmas specials you can find in an insanely festive collection of the best Christmas TV out there. Enjoy! Note: If you’re more interested in the best traditional Christmas specials, skip to page two. A modern Christmas favorite, Christmas in the Car sees the Belcher family on a last-minute pilgrimage for a replacement, replacement (yes we wrote that twice on purpose) Christmas tree, thanks to matriarch Linda’s penchant for trimming the tree on November 1. On the way home, however, the gang becomes entangled with a menacing truck driver who’s piloting a giant candy cane and is out for revenge. An homage to Duel, the frightening directorial debut from Steven Spielberg, this one has all the Christmas classics you need for a good time: Laughs, scares, Bobcat Goldthwait, and even Dutch Babies. 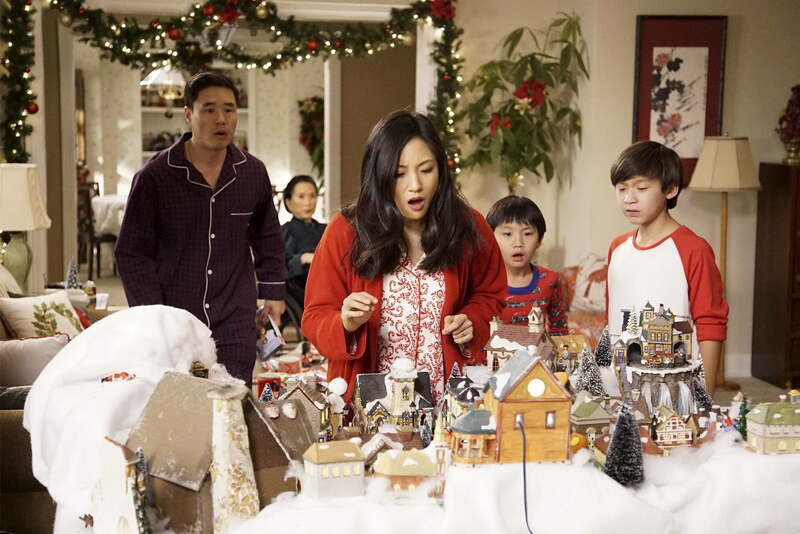 In an attempt to make her youngest son Evan (Ian Chen) study harder in school while simultaneously embracing his cultural heritage, Jessica (Constance Wu) tries to convince him that Santa is not only Chinese, but also an esteemed scientist. When Evan starts asking Santa tons of science-related questions he can’t answer, Jessica quickly realizes that she’s caught in a massive web of lies, and her plan might backfire and ruin the magic of Christmas. 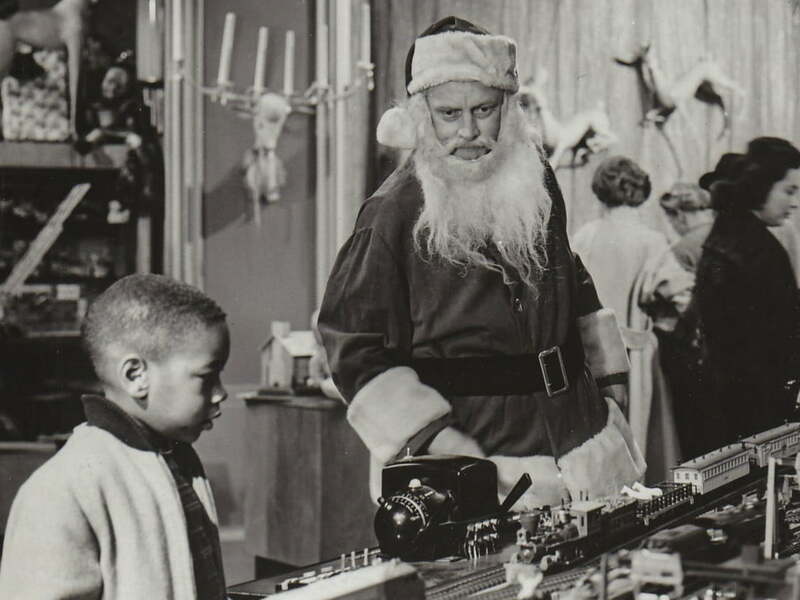 A slight departure for the psychologically thrilling sci-fi series, Henry (Art Carney) is a clichéd drunken department store Santa who gets fired from his job, only to find a mysterious, magical bag that spits out the objects people want most. Confusion and Christmas miracles ensue, of course. The story was so popular that the episode was remade in the first revival of the series in 1985, with Richard Mulligan playing Henry, who finds the toys emerging from a bag of garbage he’s about to take out of his apartment. Sick of their spoiled grandchildren who see Christmas as a windfall of goodies, the Johnson grandparents propose the family spend more time together in lieu of an overabundance of presents. 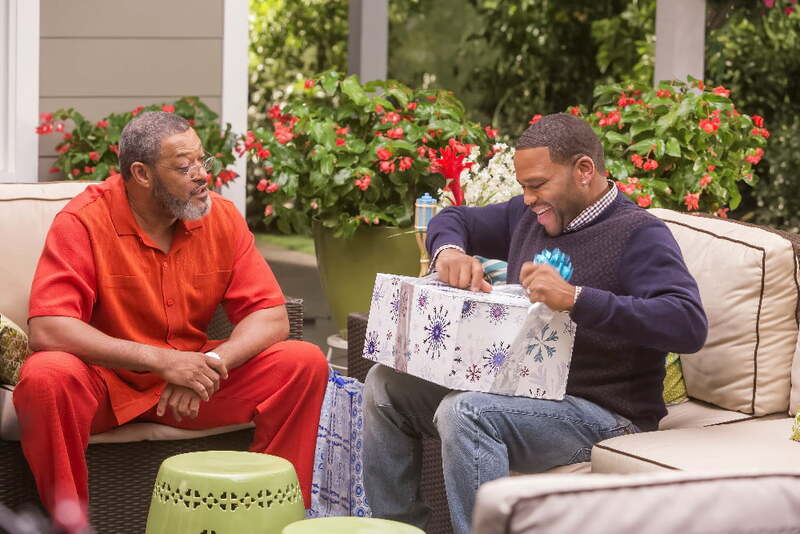 At first, dad Dre (Anthony Anderson) is against the elimination of “stuff” at Christmas. Who doesn’t love seeing their kids open presents? But he has an eye-opening moment when he realizes how demanding and selfish the kids can be. Naturally, the kids, who Pops (Laurence Fishburne) feels are downright spoiled, don’t take the news well and try and change their tune in hopes that Santa won’t cut back this year after all. What, you’ve never heard of the time-honored tradition of Ludachristmas (no, not that one)? Another non-traditional take on the season of joy, this episode from NBC’s classic SNL parody sees the staff of Liz Lemon’s variety show prepping for their yearly drunken extravaganza. But Kenneth the page’s insistence that they remember the “true” meaning of Christmas, namely faith and charity, nearly ruins it for everyone. Meanwhile, Jack’s crazy mother is determined to prove that Liz and her family’s seemingly perfect relationship is nothing more than veneer, which is just an attempt to make her own son feel better about how awful she is. If that’s not the spirit of Christmas, we don’t know what is. The gang’s all here! Any Christmas episode from Always Sunny — the show that makes Seinfeld’s characters look like Good Samaritans — is bound to be an all-out mess. But A Very Sunny Christmas is even more violent, sacrilegious, and outright offensive than you probably remember. It’s also possibly the funniest episode on this list. From Christmas hookers to maimed Santas to feats of brutal revenge, this one will have tears of laughter running down your face, even if you feel a little bad about it. Fall asleep for a millennium and everything changes, including Chris … ahem, Xmas. In one of the best episodes from Matt Groening’s wild sci-fi comedy, Christmas has transformed from a day of peace and love into a time of fear and horror, thanks to a maniacal Santa robot who short circuits, but still takes his job very seriously. Fry’s 20th-century mind barely has time to process the new order before he’s running for his life from Santa’s bazooka. Can the gang escape from the big, red robot killer? Yes. But it’s still really funny watching them do it. Yeah, like the guy in the $5,000 suit is gonna watch some stupid Christmas episode! C’mon!! Gob is in full form in this one, insulting and otherwise offending every office staff member he comes into contact with, as Michael hopelessly tries to raise morale by throwing an office Christmas party. The show that got caught up in the streaming revolution was never quite the same when it moved to Netflix for season 4 (and 5), but this episode is vintage AD, and its recurring karaoke hijinks make it nearly impossible not to laugh. If you’ve been looking for the most awkward Christmas dinner ever (ding! ding! ding! ), you’ve found it. A perfect introduction to the deliciously awkward splendor that is Peep Show (one of the UK’s best comedies) this episode sees the ever-uptight Mark and his bohemian roommate, Jez, hosting Mark’s family for Christmas dinner. On tap are Mark’s liberal and overly sexual mother, his conservative and borderline-abusive father, his girlfriend (whom his parents know nothing about), and his sister (whom Jez slept with and then tossed aside). The table is set, the pieces are all in place — now sit back and enjoy the mayhem of the funniest dinner party you’ve ever encountered. Next to this, Christmas with the in-laws is a piece of cake. Don’t let the wine and potatoes or the musty kitchen laid out in this episode’s introduction fool you; Charlie Brooker has, to borrow from Pink Floyd, set the controls for the heart of the sun in this one. Jon Hamm’s utterly charming mannerisms are no match for the eerie adventure contained within, which explores the very essence of humanity itself in the form of a flashback over Christmas dinner. Leveraging the time-honored tradition of dramatic British Christmas specials, White Christmas takes everything up a notch (or 10) for an experience you’ll not soon forget. With season four on the way, this is a good way for fans to catch up. Community was known for its inventive episode concepts, and Abed’s Uncontrollable Christmas certainly falls under that category. In keeping with the show’s meta-tradition of breaking the fourth wall, Abed envisions the entire group in stop-motion animation (a classic Christmas trope, as evidenced by several of our selections below) as the group is teleported to icy Planet Abed by way of Christmas-nosis. Once there, the study group experiences several references to popular Christmas specials and works together to find the true meaning of Christmas. Nearly 20 years later, “Schweddy Balls” remains one of the most iconic segments ever to grace the Saturday Night Live stage. Played by Alec Baldwin, Pete Schweddy is interviewed by the hosts of “The Delicious Dish,” as he shows off his family’s trademark holiday dish — balls made from cake, meat, and everything in between — which, of course, are sold in … sacks. The same episode is also home to one of the infamous “Bill Brasky” sketches, wherein Baldwin, Will Ferrell, and John Goodman reminisce on times spent with their extraordinary comrade. No, The Strike doesn’t directly deal with the Christmas holiday, but it’s certainly relevant here, having given rise to Festivus. While Elaine works to track down a coupon that she gave away (along with a fake phone number), Kramer learns all about Festivus, a holiday invented by George’s father that involves bizarre ceremonies and the placement of a bare aluminum pole in lieu of a tree. Meanwhile, Jerry grapples with the relative attractiveness of his latest girlfriend. Is there anything more awkward (and hilarious) than Larry David trying not to screw things up? In the most festive episode of Curb, the Seinfeld mastermind finds himself in a holiday pickle on Christmas Eve after accidentally eating cookies that were baked specifically for a nativity scene by Cheryl’s ultra-religious sister. Larry enlists the members of a nearby church to try and salvage the nativity scene, but (as is tradition) things go terribly wrong, and Larry struggles to make peace.